The Texas Rangers on Tuesday signed reliever Daniel Bard and added right-handed pitcher Armando Galarraga on a minor-league deal. The Mets have expressed interest in signing left-hander Victor Garate and right-hander Armando Galarraga, Venezuelan journalist Rafael Tejera reports. 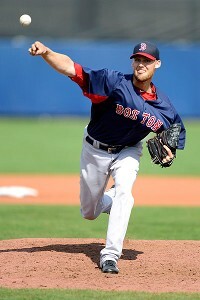 Tejera adds that both pitchers have offers from Asian ballclubs. Another baseball tradition is about to largely disappear: a manager, with a crazed look in his eyes, charging the field and getting into a face-to-face shouting match with an umpire. 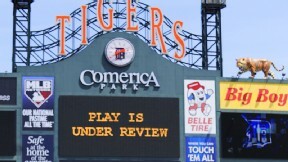 We all know that umpires make mistakes, but if major league baseball owners are willing to vote in a new replay system currently on the table during their November meetings, starting in 2014, managers will be able to prove it through the use of video. Pitcher Armando Galarraga has agreed to a minor league contract with the Cincinnati Reds and will try to win a job at spring training. It's another umpiring call that went the St. Louis Cardinals way this postseason. Umpire Jim Joyce is being credited with taking quick action to help save the life of a food service worker who collapsed of an apparent heart attack at Chase Field.